The latest figures available from the Department of Immigration and Border Protection (March 31, 2015) show that 120 Vietnamese are in Australian detention centres (6 per cent of the detention population). This time last year, there were 674 (15 per cent), second in number only to Iranians. Many of those released from detention still languish in visa limbo, awaiting their turn to be processed, without any access to legal representation or support: kids in community detention houses and adults who may or may not be able to work depending on their date of arrival. The Australian Churches Refugee Taskforce was appalled that 46 people seeking protection have just been turned back to Vietnam by the Australian Navy. No doubt Vietnamese authorities are interrogating them now to find out why they fled. Executive Officer of the Taskforce, Misha Coleman, who worked at the Australian Embassy in Vietnam for 3 years, said that “the ‘tick and flick’ on-water screening process undertaken by the Australian Government on these boat turn-backs, to assess whether someone is a refugee or not, is shameful and (under international law) unlawful. I call on the Australian Ambassador in Vietnam to ensure the welfare of these people we’ve sent back there”. The Australian Government has not only locked many Vietnamese asylum seekers for more than a year, but they’ve also granted the “A18” Vietnam Immigration Department officials access to these asylum seekers, to interview those seeking asylum, on Australian soil. 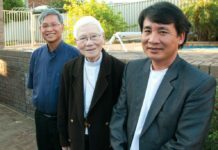 Vietnamese community leaders say that many of the asylum seekers interviewed by A18 in recent years were told to return ‘voluntarily’ by Vietnamese officials. Additionally, some of the interpreters used by DIBP may in fact have formerly been police or government officials in Vietnam. 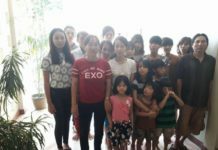 The asylum seekers have expressed fear that if they don’t return to Vietnam ‘voluntarily’, their family members back in Vietnam might face harsh retribution – either through their ‘disappearance’ or by being sent to labour camps for ‘re-education’. 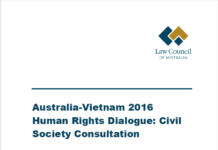 The Human Rights Watch World Report 2014 says the human rights situation in Vietnam deteriorated significantly in 2013, worsening a trend evident for several years. The year was marked by a severe and intensifying crackdown on critics, including long prison terms for many peaceful activists whose “crime” was calling for political change. 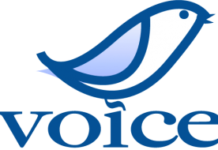 The January 2013 conviction and imprisonment of 14, mostly Catholic, activists by the People’s Court of Nghe An province predicated the year’s upsurge of government attacks on critics. Parishioners exercising fundamental human rights, such as participating in volunteer church activities and peaceful political protests, are considered to be threatening to overthrow the government. The Vietnamese government is also claiming back land used by the church since French colonial times and this is causing huge friction. In this celebration of 40 years of successful Vietnamese immigration, surely the Australian Government can look past the mode of arrival and grant the basic human right that people should have, which is to have their claims for asylum processed, properly. Misha Coleman worked at the Australian Embassy in Vietnam between 2003-2007, and is the Executive Officer of the Australian Churches Refugee Taskforce.